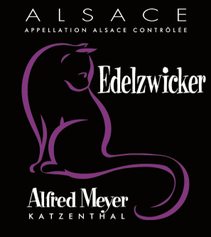 Edelzwicker 2017 - Site de vinsalfredmeyeren ! 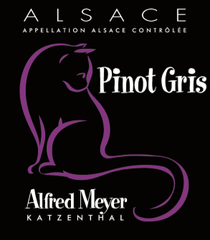 Blend of Muscat and Pinot Blanc. This vintage is very aromatic, slightly musky. 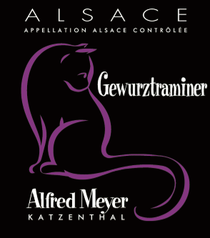 Dry and structured, it is a pleasurable wine. 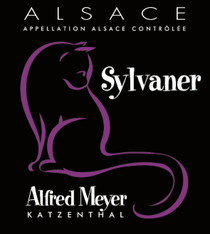 Presenting a pale yollow Sylvaner from a cley and limestone soil, this lets through some discreet aromas of freshly cut grass, before unveiling a more expessive palate, of good maturity, emphasized by notes of apricot and lemon . The light finish is animated by a pleasant liveliness. Light yellow colour , aroma of a beautiful fruit maturity and without heaviness. The seductive mouth gives it a lighter style with a smoother consistency in the mouth. 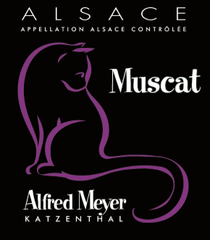 A refreshing Muscat, perfect for an aperitif or with asparagus. 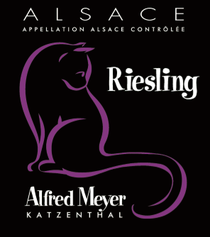 Whit its light yellow color, this Riesling develops a fruity citrus flavor tempered by an emerging minerality. Its balance leans towards a freshness, highlighted by aromas of lemon and a return of the minerality. This is a rich wine, full, heady, wth aromas of cherries and plums, which will appeal throughout your meals as well as an aperitif . It goes very well with white meats, terrines and young rabbit. It is the ideal accompaniment for larg buffets. Soft and invigorating with a bouquet of great finesse and aromas of violets. Recommended as an aperitif, with exotic cuisine and stang cheeses.